Join Victoria & Ian on wild Skomer, photographing the ‘clowns of the sea’; atlantic puffins, as they thrive within their unspoilt island habitat. We offer keen wildlife photographers the chance to spend 3 nights on the island, making the most of the scenic backdrop & varied light conditions that the island offers. Over 3 days you will be led by Victoria Hillman & Ian Roberts members of the NaturesLens guiding team, navigating the island & using the best viewpoints to capture stunning images to add to your portfolio. 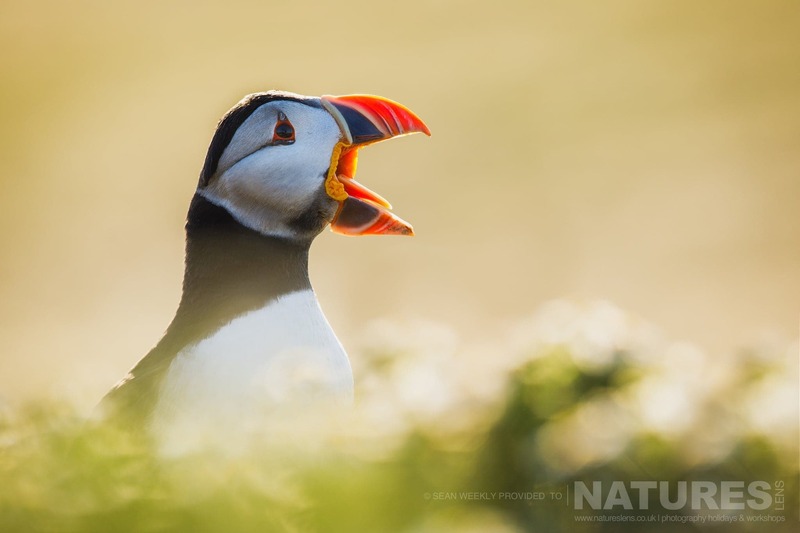 Join NaturesLens to capture images of comical Atlantic puffin, in United Kingdom, during the Welsh Puffins of Skomer Island photography holiday. This photography holiday is of day duration on a Half Board, Shared basis & costs £499 per participant. Join Victoria & Ian on a remote wildlife adventure, getting up close to the atlantic puffin on the wild & unspoilt island of Skomer, where their population thrives. These special birds are considered by many to be a national treasure. Their behaviour & characteristics are hugely inspiring to photograph, such as their short wings that they use to dip & dive underwater, ‘flying’ to catch fish. The large population of puffins has been able to flourish here thanks to minimal disruption of the island environment by humans, as well as the lack of threat from native predators. Join Ian & Dan on wild Skomer, photographing the ‘clowns of the sea’; Atlantic Puffins, as they thrive within their unspoilt island habitat. We offer keen wildlife photographers the chance to spend 3 nights on the island, making the most of the scenic backdrop & varied light conditions that the island offers. Over 3 days you will be led by NaturesLens guides, navigating the island & using the best viewpoints to capture stunning images to add to your portfolio. Join NaturesLens to capture images of comical Atlantic puffin, in United Kingdom, during the Welsh Puffins of Skomer Island past event. This past event is of day duration on a Half Board, Shared basis & costs £499 per participant. Join Ian & Dan, our photography guides, on a remote wildlife adventure, getting up close to the atlantic puffin on the wild & unspoilt island of Skomer, where their population thrives. These special birds are considered by many to be a national treasure. Their behaviour & characteristics are hugely inspiring to photograph, such as their short wings that they use to dip & dive underwater, ‘flying’ to catch fish. The large population of puffins has been able to flourish here thanks to minimal disruption of the island environment by humans, as well as the lack of threat from native predators. 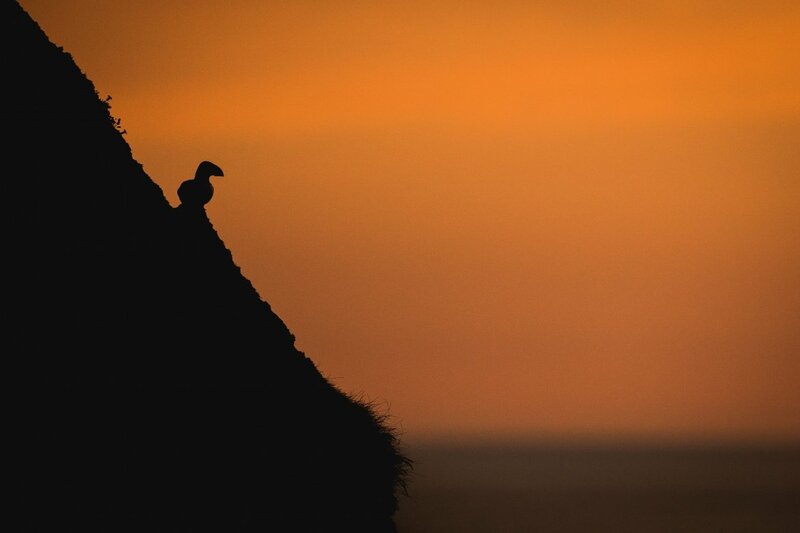 We have designed this trip to give individuals the best possible exposure to these island birds, spending hours navigating the few paths which exist on Skomer to capture stunning images of the puffins surrounded by dramatic cliffs & crashing waves. Staying overnight gives you the opportunity to photograph these birds in a wide variety of lighting conditions, & your photography will also benefit from the calm that falls when the day-trippers leave the island. This unrivalled access to the island environment provides opportunities to experiment with light & be more creative with your photography, as well as witness late night visits from Manx Shearwaters. The island environment & surrounding coastline are home to a wide range of species other than puffins, including razorbills, guillemots, all of whom make their home in the cliffs & headlands which border the island. These contrast with the more sheltered inlets that border the island, which is home to seals & other mammal populations. 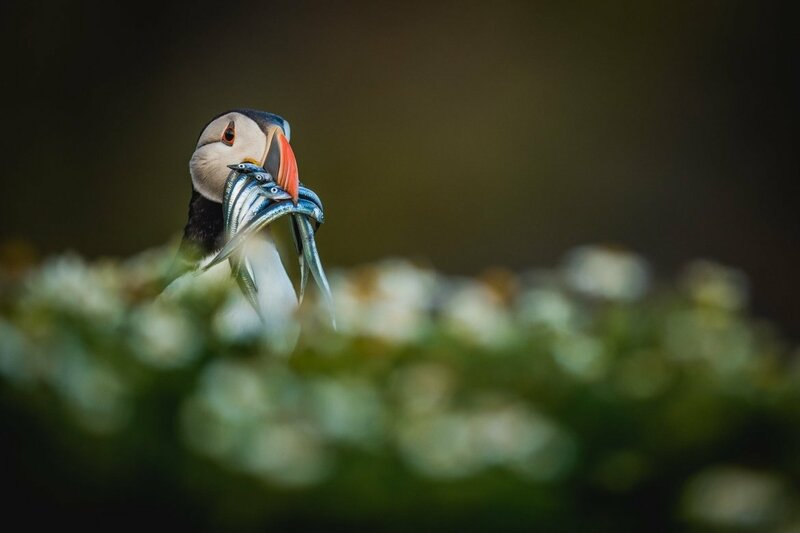 You will have extensive opportunities to witness these additional species within their rugged & unspoilt island home, whilst maintaining the puffins as the focus of photography excursions. We have taken care to make things as simple for you as possible to ensure you enjoy the trip. Therefore we organise the boat to & from the island, plus breakfast & dinner are provided. This trip gives individuals the chance to experience ‘off the grid’ living; to really escape from the modern world, relax, & become immersed within this unique & remote environment. Join Robin on wild Skomer, photographing the ‘clowns of the sea’; puffins, as they thrive within their unspoilt island habitat. We offer amateur & semi-professional photographers the chance to stay overnight on the island, spending mornings, afternoons & evenings within the landscape, making the most of the scenic backdrop & varied light conditions that the island offers. During this trip of 4 nights duration you will be led by NaturesLens guides, navigating the island & using prime viewpoints to capture stunning imagery to add to your portfolio. Join NaturesLens to capture images of comical Atlantic puffin, in United Kingdom, during the Atlantic Puffins of Skomer past event. This past event is of day duration on a Half Board, Shared basis & costs £665 per participant. Join Robin, our photography guides, on a remote wildlife adventure, getting up close to puffins on the unspoilt island of Skomer, where their population thrives. These special birds are considered by many to be a national treasure. Their behaviour & characteristics are hugely exciting to photograph, such as their short wings that they use to dip & dive underwater, ‘flying’ to catch fish. The large population of puffins has been able to flourish here thanks to minimal disruption of the island environment by humans, as well as the lack of threat from native predators. 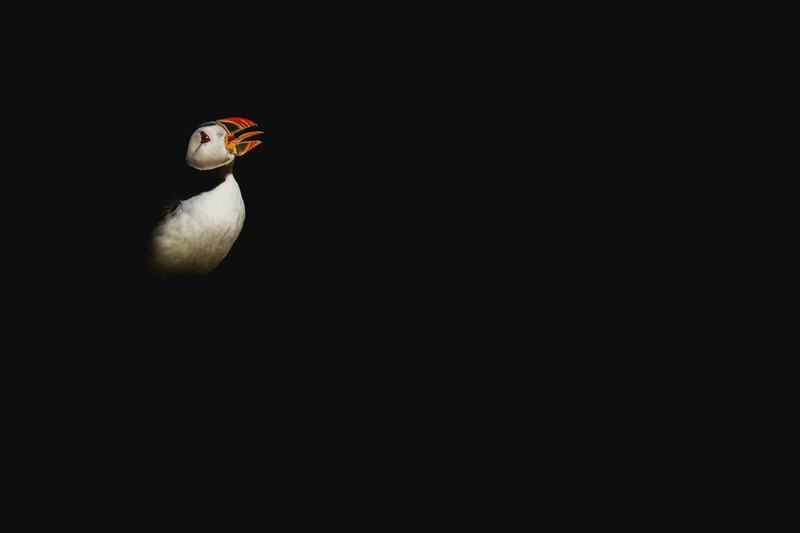 We have designed this trip to give individuals the best possible exposure to these island birds, spending hours navigating the few paths which exist on Skomer to capture impressive images of the puffins surrounded by dramatic cliffs & crashing waves. Staying overnight gives you the opportunity to photograph these birds in a wide variety of lighting conditions, & your photography will also benefit from the calm that falls when the day-trippers leave the island. This unrivalled access to the island environment provides opportunities to experiment with light & be more creative with your photography, as well as witness late night visits from Manx Shearwaters. The island environment & surrounding coastline are home to a wide range of species other than puffins, including razorbills, guillemots; who make their home in the cliffs & headlands which border the island. These contrast with the more sheltered inlets that border the island, which are home to seals & other mammal populations. 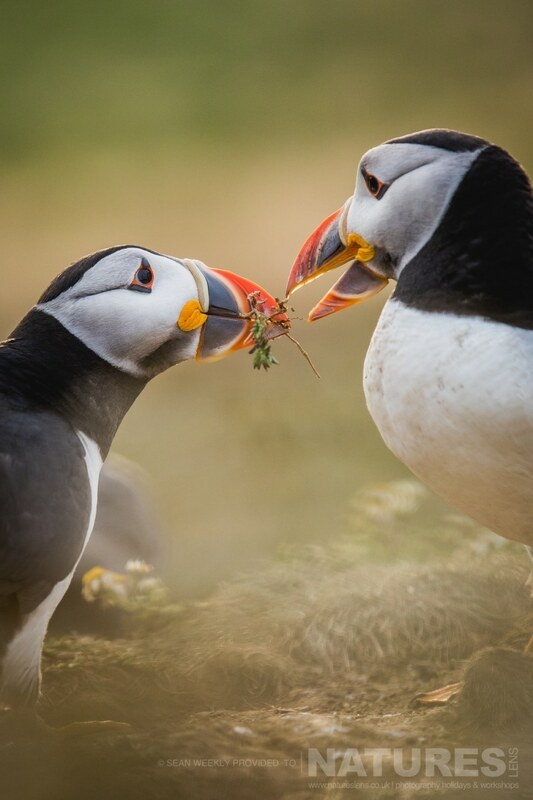 You will have extensive opportunities to witness these additional species within their rugged & unspoilt island home, whilst maintaining the puffins as the focus of photography excursions. We have taken care to make things as simple for you as possible to ensure you enjoy the trip. Therefore we organise the boat to & from the island, plus breakfast & dinner are provided. This trip gives individuals the chance to experience ‘off the grid’ living; to really escape, relax, & become immersed within this unique & remote environment. Join Ian & Robin on wild Skomer, photographing the ‘clowns of the sea’; puffins, as they thrive within their unspoilt island habitat. We offer amateur & semi-professional photographers the chance to stay overnight on the island, spending mornings, afternoons & evenings within the landscape, making the most of the scenic backdrop & varied light conditions that the island offers. During this trip of 4 nights duration, you will be led by Ian & Robin, navigating the island & using prime viewpoints to capture stunning imagery to add to your portfolio. 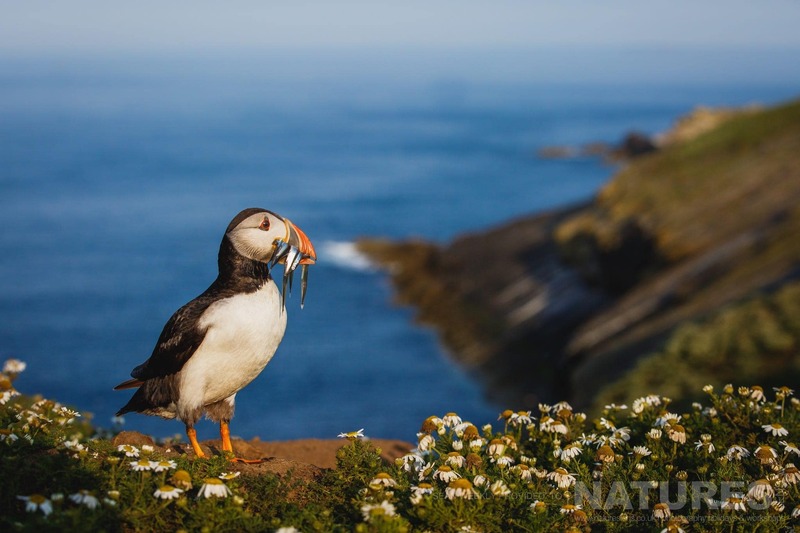 Join NaturesLens to capture images of comical Atlantic puffin, in United Kingdom, during the Atlantic Puffins of Skomer photography holiday. This photography holiday is of day duration on a Half Board, Shared basis & costs £699 per participant. 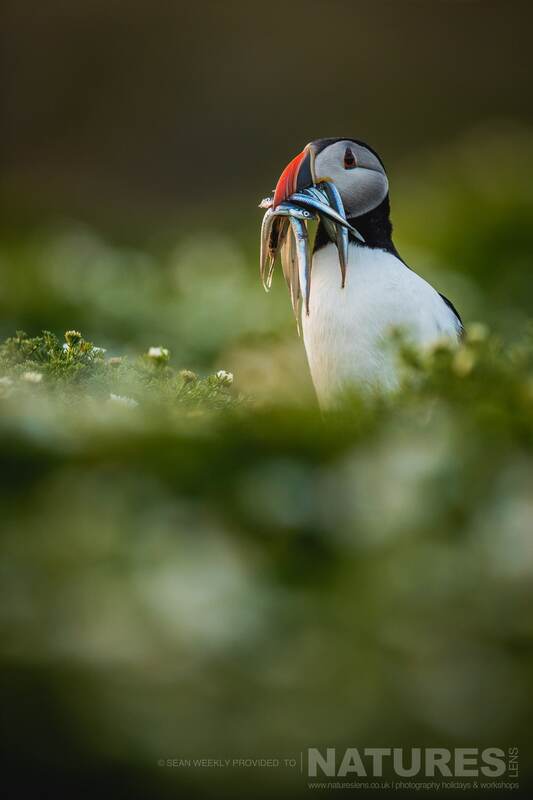 For the past 6 years, NaturesLens has been taking photographers to Skomer Island; in 2019, join Ian & Robin on a remote wildlife adventure, getting up close to puffins on the unspoilt island of Skomer, where their population thrives. These special birds are considered by many to be a national treasure. Their behaviour & characteristics are hugely exciting to photograph, such as their short wings that they use to dip & dive underwater, ‘flying’ to catch fish. The large population of puffins has been able to flourish here thanks to minimal disruption of the island environment by humans, as well as the lack of threat from native predators. 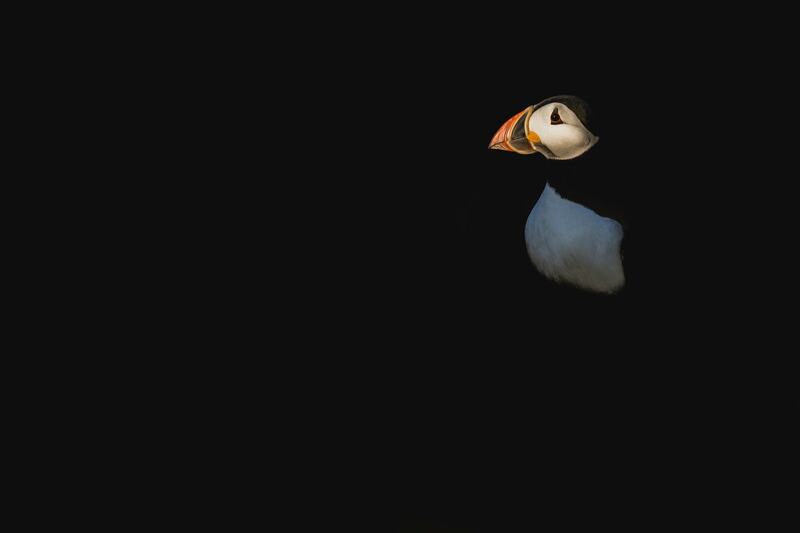 We have refined this trip to give individuals the best possible exposure to these island birds, spending hours navigating the few paths which exist on Skomer to capture impressive images of the puffins surrounded by dramatic cliffs & crashing waves. 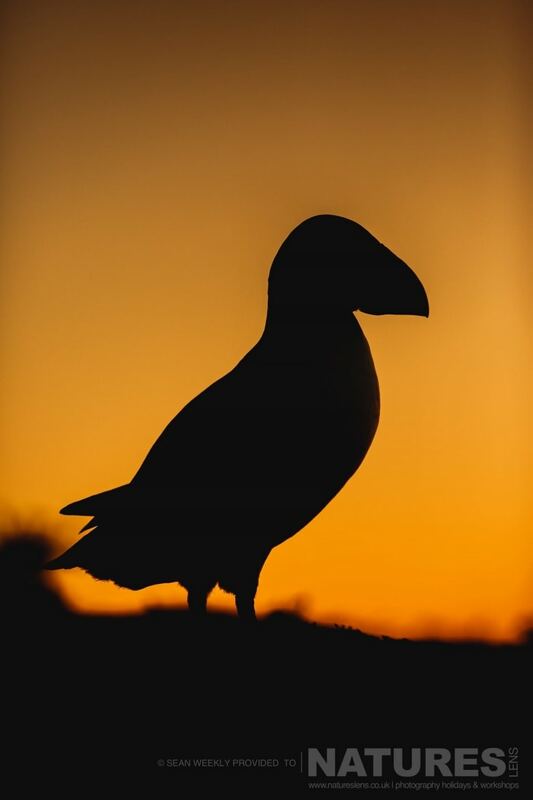 Staying overnight gives you the opportunity to photograph these birds in a wide variety of lighting conditions, & your photography will also benefit from the calm that falls when the day-trippers leave the island. This unrivalled access to the island environment provides opportunities to experiment with light & be more creative with your photography, as well as witness late night visits from Manx Shearwaters. The island environment & surrounding coastline are home to a wide range of species other than puffins, including razorbills, guillemots; who make their home in the cliffs & headlands which border the island. These contrast with the more sheltered inlets that border the island, which is home to seals & other mammal populations. You will have extensive opportunities to witness these additional species within their rugged & unspoilt island home, whilst maintaining the puffins as the focus of photography excursions. We have taken care to make things as simple for you as possible to ensure you enjoy the trip. Therefore we organise the boat to & from the island, plus breakfast & dinner are provided. This trip gives individuals the chance to experience ‘off the grid’ living; to really escape, relax, & become immersed in this unique & remote environment. Join Pui Hang on wild Skomer, photographing the ‘clowns of the sea’; puffins, as they thrive within their unspoilt island habitat. We offer amateur & semi-professional photographers the chance to stay overnight on the island, spending mornings, afternoons & evenings within the landscape, making the most of the scenic backdrop & varied light conditions that the island offers. During this trip of 4 nights duration, you will be led by Pui Hang, navigating the island & using prime viewpoints to capture stunning imagery to add to your portfolio. 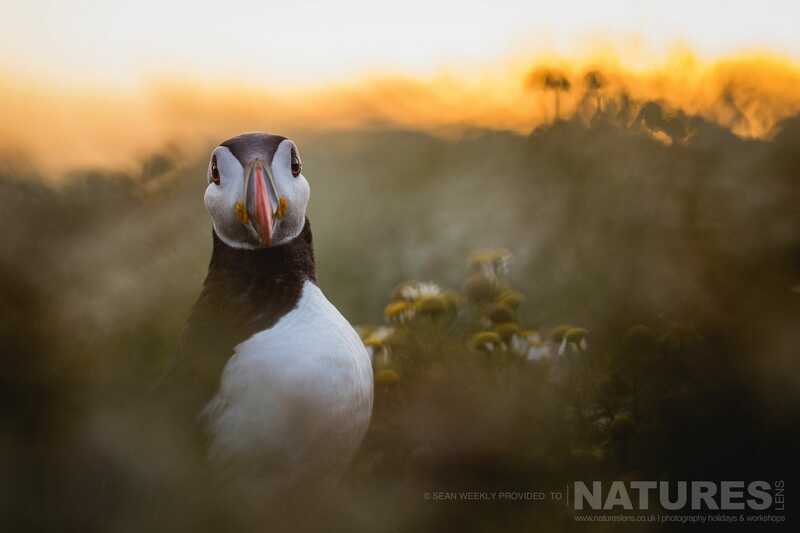 For the past 6 years, NaturesLens has been taking photographers to Skomer Island; in 2019, join Pui Hang on a remote wildlife adventure, getting up close to puffins on the unspoilt island of Skomer, where their population thrives. These special birds are considered by many to be a national treasure. Their behaviour & characteristics are hugely exciting to photograph, such as their short wings that they use to dip & dive underwater, ‘flying’ to catch fish. The large population of puffins has been able to flourish here thanks to minimal disruption of the island environment by humans, as well as the lack of threat from native predators. Whatever your query regarding our photography holiday, Atlantic Puffins of Skomer, please fill out your details below & we will get back to you.